We are offering a wide range of Sports Nutrition Powder. Being a remarkable business organization, we are offering a high class Nutrition Powder. 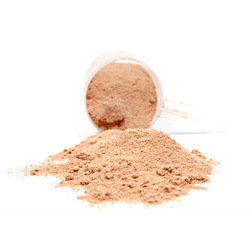 Export prime quality herbal powdered extracts, powders and nutritional supplements, to the nutraceutical industry globally, Backed by strong supply base for quality raw materials and state of the art manufacturing and testing facilities, our products are well accepted. - Imparts anti-microbial properties on the polymer surfaces.